The CAD Drafting Program is certified by the American Design Drafting Association, an international organization pledged to meet and serve the professional growth and advancement of the individual working in the design drafting community. 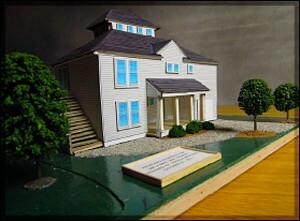 Drafters are planners for the design, manufacturing and construction industries. They create technical drawings and plans required to produce parts and communicate ideas. They use a universal graphic language to transform these ideas into useful products. Students who graduate from the CAD Drafting program have the opportunity to be employed in an entry level position such as: Mechanical Drafter, Architectural Drafter, Detailed Draftsperson, Drafter Assistant. Students who graduate from this program also have the opportunity to pursue an Associate’s or Bachelor’s Degree in the following majors: Architecture, Mechanical Engineering, Interior Design, Industrial Design, Landscape Design, Marine Engineering, Structural Engineering & Civil Engineering. 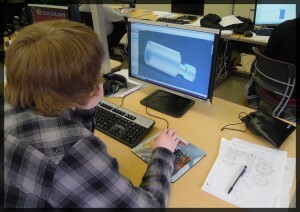 The CAD Drafting Program holds a statewide articulation agreement in Computer Aided Design Drafting between all Massachusetts Community Colleges and all Chapter 74 approved Drafting programs. The statewide articulation agreement allows students enrolled in an approved Chapter 74 Drafting program to receive college credit from all of the 15 Massachusetts Community Colleges. Our program also holds an articulation agreement with Bristol Community College. 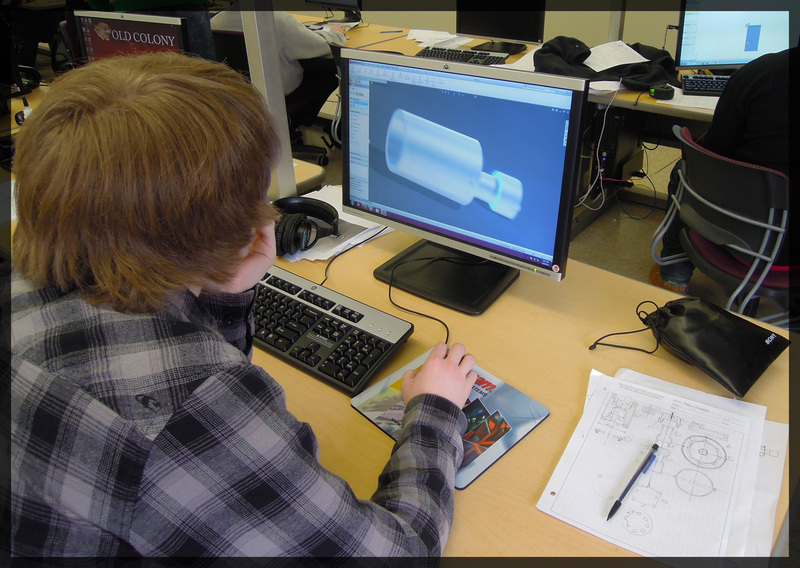 Students who earn a B or better may qualify to receive credit for the CAD Drafting coursework. 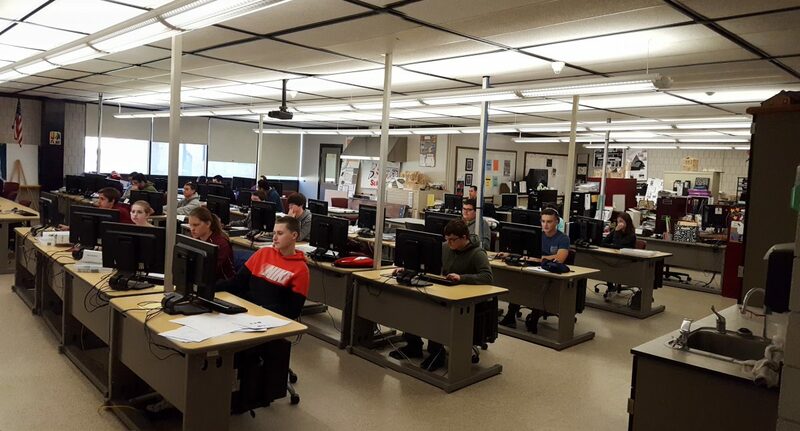 Computer Aided Design Drafting students, who meet the qualifications, are eligible to enter the Cooperative Education Program in the second semester of their junior year. The Co-op program allows students to be employed during school hours of their shop cycle. This would be a minimum of 30 hours per week on typically a ten day rotating cycle. This work experience enables our students to obtain practical job experiences and apply their technical training in a work environment, thus enriching the total educational program for the student. As-Built Documentation – Students will field measure the structure and create existing conditions drawings which will include floor plans and elevations. Residential Drawings for Additions, Renovations & New Homes – A complete set of drawings ready for a building permit application and to be used for bidding will be produced. Feasibility Studies – A review of zoning, space programming and budget will be developed to determine the feasibility of a project. Site Plan Drawings – Students will create a site plan drawing based on plot plan or surveyed information that can be used for planning or zoning needs. Presentation Boards – Custom presentation boards created by our students and mounted on foam board. Individually priced.